If you want to add value not just in terms of the price of your property but also in terms of appearance, engineered wood flooring is the way to go. 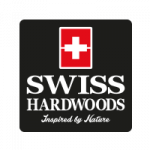 A Swedish concept has taken the décor industry by storm, even if you have not heard of it, you may just end up falling in love with this floor from Swiss Hardwoods-Classic Collection. Alpaca White-Dark Oak, is pleasing to the eye and adds "just the right amount" of naturally warm touch to your decor. This engineered floor with its highly durable and low maintenance feature can be used in any part of your home or office where a solid wood floor might warp or split. The patented uni clic interlocking mechanism make for quick and easy installation.